Created for all gin fans, this selection of 3 great gin glasses helps you to discover and enjoy the best tasting gin experience. A classic highball and on-trend copa stem are complimented by the stylish martini cocktail. Endorsed by makers of premium mixers Fever Tree, the set comes with an expert guide to each gin glass with mixing tips and gin cocktail recipes. 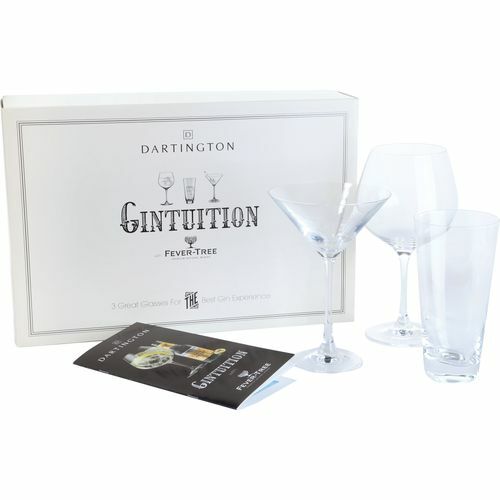 Making the perfect Gin and Tonic or mixing the ultimate gin martini is easy with a little Gintuition.